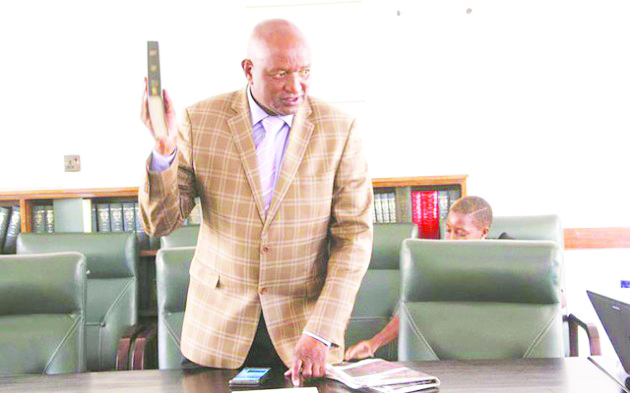 MASVINGO – Government has put all NGOs under the microscope to ensure that none dabbles in politics, the Deputy Minister of Public Service, Labour and Social Welfare, Lovemore Matuke has said. Some NGOs are dabbling in politics when they are registered to provide food relief, said Matuke. “The Government is going to carry out an audit of all NGOs in each province and closely monitor their activities as some are purporting to be bringing food relief but end up dabbling in politics hence the need to monitor their activities. “We need to know how many NGOs are operating in each province and what activities they are carrying out. NGOs work under Government and not as independent entities as a result we want to streamline their activities so that they don’t duplicate the Government in providing relief especially during the time of drought. Matuke said this during the Zanu PF Provincial Coordinating Committee held at Victoria Junior School in Masvingo last Sunday. The pronouncement by Matuke comes soon after the European Union has called for the strengthening of NGOs working for the development of communities and gender equality.